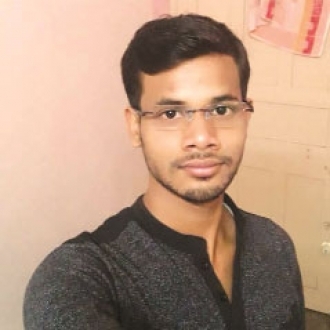 A 21-year-old student of the Indian Institute of Technology, Delhi, committed suicide by hanging himself from the ceiling fan at his hostel room in South Delhi’s Vasant Vihar area on Friday. In the one page suicide note scribbled in Bangla, Naru Gopal Maloo — a first year MSc Chemistry student who had joined the premiere institute in July last year — stated that he was living in constant guilt due to the sexual abuses he faced at the hands of his two cousins during his childhood in Hooghly in West Bengal. Police said the suicide was reported to them around 8.05 am by the security guards of the Nilgiri hostel when the room in which the deceased lived was found to be locked. A senior police investigator told The Pioneer that in the suicide note, Naru — a native of Tribeni area in Hooghly district — said he was first sexually exploited by his cousin brother (badi mausi ka beta) when he was 10 years old. “Later, his mama ka beta (maternal brother) also started indulging in sexual acts with him. In the note, he mentioned, he derived pleasure from these acts. While he got used to it, it was only when he came to study at IIT Delhi last year in July that he realised that he has grown accustomed to the child sexual abuse and gradually developed feelings of guilt. In the note, he has sought forgiveness from his parents and has clearly mentioned that he wants strictest punishment to those who ruined his childhood,” said the official. “Naru lived with two other students in the room. Since he was studying till late on Thursday night, he asked others to leave him alone in the room. The roommates spoke to him last at around 12:30am. In the morning, despite repeatedly knocking on the door, when Naru did not open the door, security guards were called in. Through grilled window, the roommates and guard found Naru hanging from the ceiling,” said a senior investigator. His roommates alleged that even after knowing Naru’s suicidal thoughts, his brother Bachoo Ram dropped him back to the hostel on Thursday afternoon, the day he was discharged from the Safdarjung hospital on Thursday morning. Police said the deceased was counselled by his elder brother, Bachoo Ram. The Delhi Police officials said they have asked their counterparts in the West Bengal Police to register a Zero FIR. Police said they will add relevant sections in FIR accordingly. “We will also be questioning the relatives who have been named in the FIR,” said the police officer. Naru, who completed his graduation from the Presidency Univeristy in Kolkata, was the youngest among three sons and he is survived by his parents and siblings. Police said the post mortem of the deceased was conducted at the Safdarjung hospital mortuary after which it was handed over to his elder brother, Bachoo. Further investigation is on, they said.